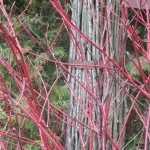 Enhance your winter landscape with a grouping of red twig dogwood shrubs. Plant them against a backdrop of evergreens and — wow. The deciduous, broad leaf shrub has a spread and height of about 8 feet. Planted them in wet areas. Full sun locations really make them shine. The red twig has year round interest: blossoms in the spring, variegated leaves during the summer and berries fall through early winter. 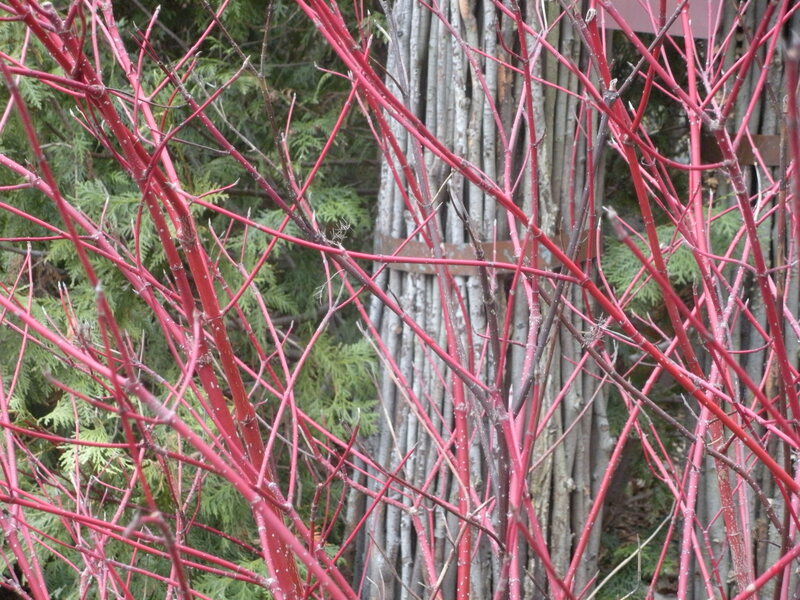 The branches brilliant bright red color fades as winter progresses but they continue to stand out. There is also a yellow twig dogwood. It’s really sort of a chartreuse color. Get the neighbors talking with a bed combining both!